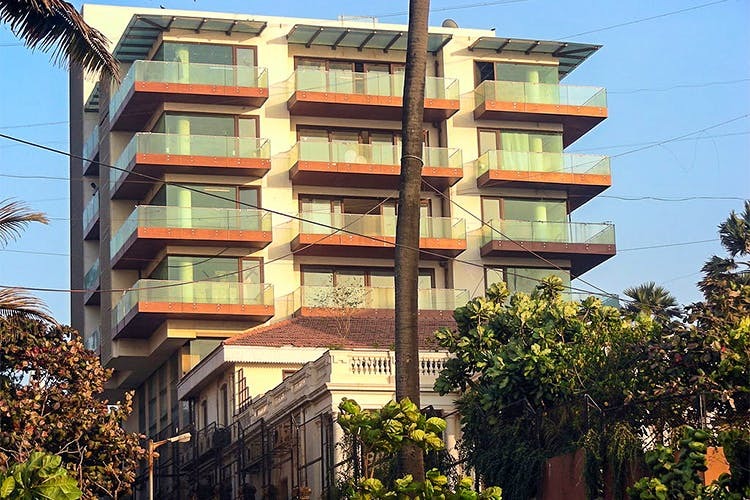 If Kuch Kuch Hota Hai and Dilwale Dulhaniya Le Jaayenge have been a part of your childhood and Shah Rukh Khan is the reason you know the nuances of love, then Mannat, his fortified abode, is something you have to visit when in Mumbai. Mannat is what Shahrukh Khan (SRK) called the heritage bungalow that he bought off Bai Khorshed Bhanu Sanjana Trust in 2001. And that’s when he started building his sprawling mansion which has since been turned into a six-storeyed building that is on the tourist map of Mumbai and is visited by tourists and fans in large numbers. Located on Bandstand, it overlooks the Arabian Sea and houses SRK’s office, a fully equipped gym, a lounge area for story sittings, a huge kitchen, a living area that extends over two floors, a full floor of playroom for his kids, a library, a private bar and an entertainment centre. The interiors have an elevator system and the two living rooms in Mannat are done up with neo-classical elements and objects of art collected from around the world. He even has a huge collection of MF Hussain paintings that adorn the walls of his house. If you’ve ever seen the pictures of his house, you will realise that it’s not just a house, but a mansion for real. Mannat is even a bus stand which makes it easier for people to reach here (bus route no. 211). While SRK only gives a public appearance on his birthday (November 2) from his house (which causes chaos and a close to stampede situation every year), all there is to see on regular days is a highly fortified area with a guard’s room and a black stone that says MANNAT in dull bronze letters. But for whatever its worth, getting a picture clicked with his house has been and continues to be a rage. If you’re a fan, getting that picture in front of Mannat is a must. And if you’re not a fan, then looking at fans getting that picture is entertaining too.